In February 2006 I finished studies of Information Technologies at science faculty University Palackého in Olomouc. During my studies I passed a lot of cursus, which some of them were really good and some simply be so hard, that some students didn't pass them and finished their studies. I made this part of my web pages for some students who are looking for some informations about study of this department. Of course, there exist much informations about universities (and about our department, too). Some informations are on department pages or on the pages, which compare different universities, but I want to write here about my experiences with studies. At first, the branch on this department has name "mathematical infomatics", not "electrotechnics", what is a big different. The biggest different is, that here is not physics. For somebody big advantage, for somebody disadvantage. Anyway for me it was one of the biggest advantage, why study just here. Informatic's curses are, in my opinion, at the rate of mathematical curses in good ratio. So if you don't like mathematic, you will have probably problems with these subjects. Next marked property of this scool is, that here are teaching quite lot curses from the "theoretic informatics" branch, which exams are one of the hardest and you will study them six semesters. One of the shadowy property of this school is, that here are not so much practical curses, which, in my opinion, can be here much more. Except "Project's seminar" and some other curses, where you develop bigger project (in C#, C++ or similar language) and some other smaller application, is not here much practical curses. These curses are really good and you can learn developing and other important skills, which you can use in future. I don't say, that the other curses you cannot use in future, but these curses are simply more practical. In the third year you must pass Bachelor's exam, what is also see on teachers' behaviour, who give you more time to study hour and they don't require so much work to school. When I draw up this school as complex, I must rebuke less practical curses or rather less emphasis on them. This school give you very good principles of theoretical informatics, mathematics and quite good bases of programming. But if you want to be really brilliant programmer or program analyst, you must spend more time for study hour of programming and some technologies, which aren't in school taught. In the following section I make available some of my works from studies. I just notice that I take no guarantee of 100% correctness all the applications and manuals. I did these works during studies and my technology views and professionalism of development have changed. Project of geometry I, where we learnt bases of geometry techniques in applications. Application is available. Project of geometry II, where we tried to apply curves analysis in applications. Application is available. Project of geometry III, where we tried to apply shading algorithms in applications. Application is available. Homework of Neural network subject. Application creates backpropagation neural network and test it on examples. Application is available. Works in software engineering. 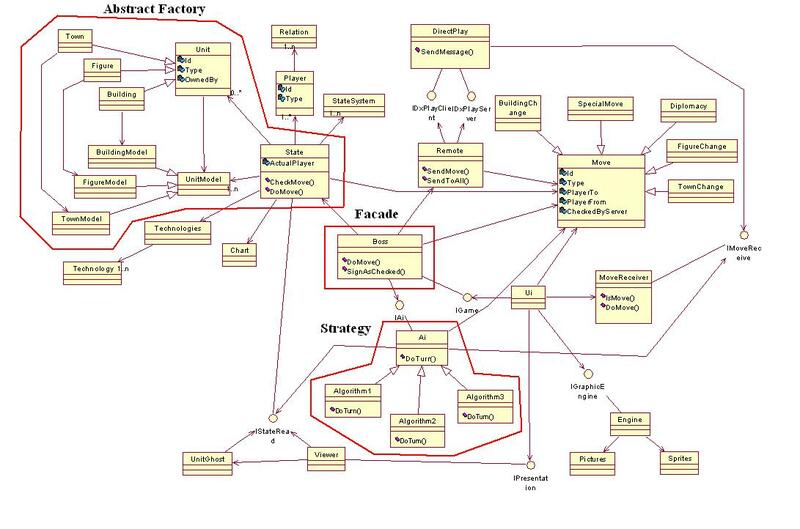 It's a re-analysis of existing project and application of desing patterns.